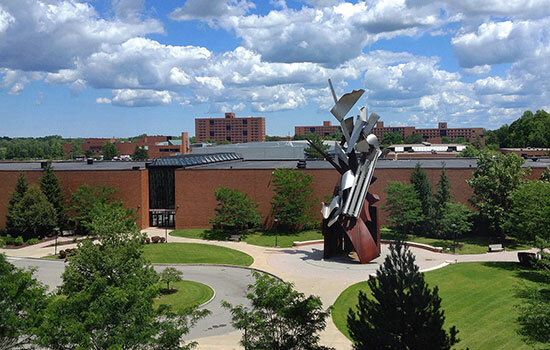 Rochester Institute of Technology has been recognized by Forbes on its 2017 list of “America's Best Midsize Employers.” RIT earned 36th place overall on the list of 301 companies and is the sixth-highest ranked university of the 33 universities listed. Forbes and Statista, a research firm based in Hamburg, Germany, worked together to compile the list, which focused on companies with 1,000 to 5,000 employees. About 30,000 American workers were surveyed by Statista about their opinions of their employers. Participants were asked to rank on a scale of zero to 10 how likely they were to recommend their employer to friends or family and were also asked to recommend other companies outside of their own. RIT employs approximately 3,900 faculty and staff.